You are searching for top Mobile Phone Games for your iPhone Clone like Cect, Sciphone, Ciphone, Hiphone or another chinese Mobile Phone Clones? 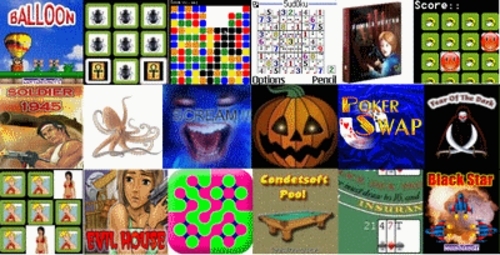 You can buy now this Premium Game Pack with 28 top Games and have a lot of fun with your iPhone Clone. This Games works with Cect, Sciphone, Ciphone, Hiphone and a lot of more iPhone Clones from China. You will get all Games in 2 different files. The iPhone Clone Games are .jar and .jad files and easy to install and to use..
Because i don´t use a iPhone Clone i cannot give support for this Game Pack. All Games works perfect and are ready to use!